Incredible location, great water, and your own private dock for under $300k! 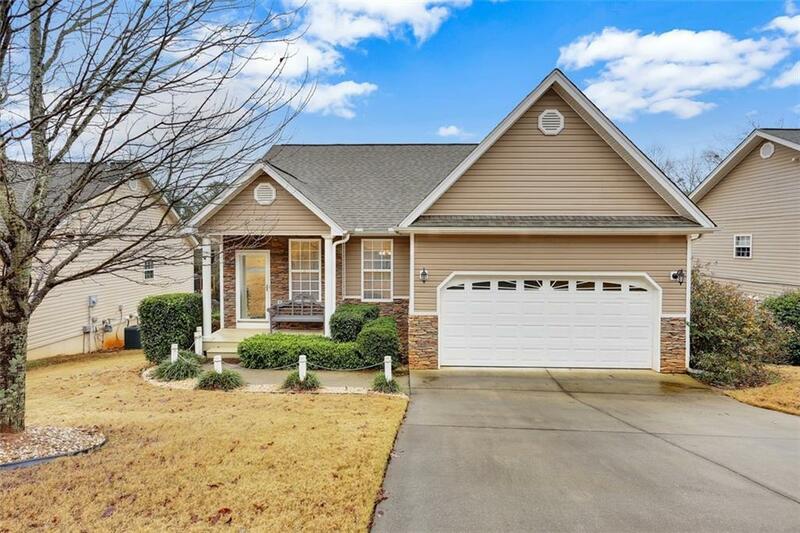 Located just minutes off I-85 at exit 19-B, 118 Falcon's Landing is perfect for those commuting for work or wanting an easy drive home from their weekend house. Shopping & dining on Clemson Blvd is a mere 5 minutes away, and it takes only 15 minutes to reach Clemson University! Built in 2005, the home features and open floor plan with hardwood floors throughout the large living area and combination kitchen & dining space. The kitchen features plenty of cabinet space, granite countertops, under cabinet lighting, and a large island. Sliding doors lead to a 24x12 deck with a SunSetter retractable awning. The main level also includes a walk-in laundry room, powder room, and a spacious master with walk-in closet, deck access, and a full bath. In the finished basement, you'll find a rec room, 2 additional bedrooms, full bath, and a golf cart garage/workshop. Additional features of the home include central vacuum, alarm system, irrigation system, and a lower level patio. This home comes with a private dock which was installed in 2016 and includes a boat lift, swim bench, and storage box. Situated in a wide cove just off 26 Mile Creek, you'll enjoy great water all year in a protected area, along with easy access to bigger water. The community has a paved path leading from the residence to a common area that includes an outdoor storage space for your boat and/or trailer, a children's playground, horse shoe pits, basketball court, and fire pit/picnic area. Listing agency will provide a 1 year warranty to the buyer at closing. Eat In Kitchen: 17&apos;8" x 16&apos;6"